Do you Peep what I Peep? 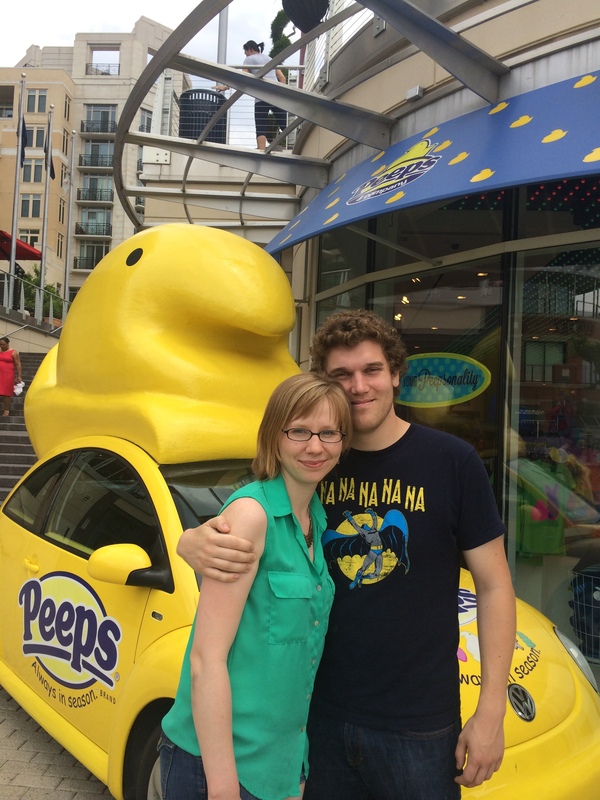 In case you don’t understand this incredible photo, it is my boyfriend and I in front of the PeepMobile (I don’t know if it is actually called that but…c’mon. What other name could there be?) 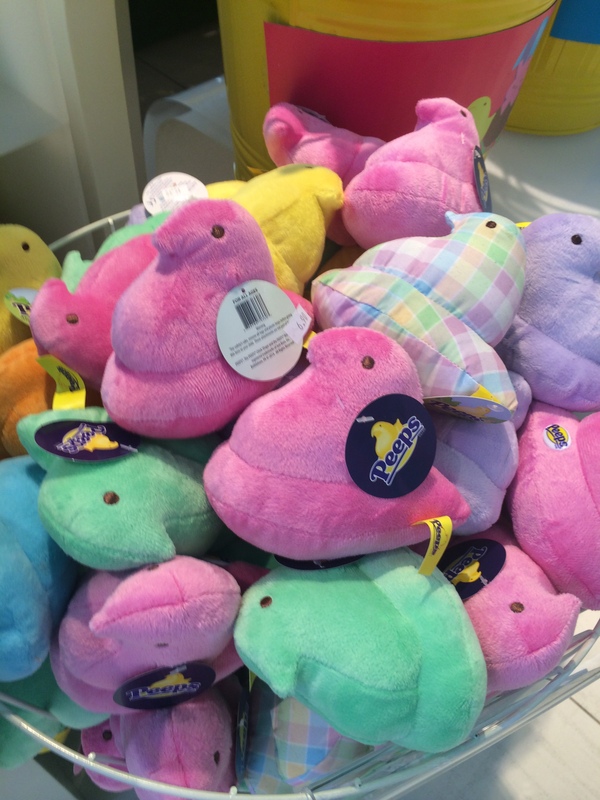 Apparently, there is an entire Peep store in Washington, DC that nobody told me about. 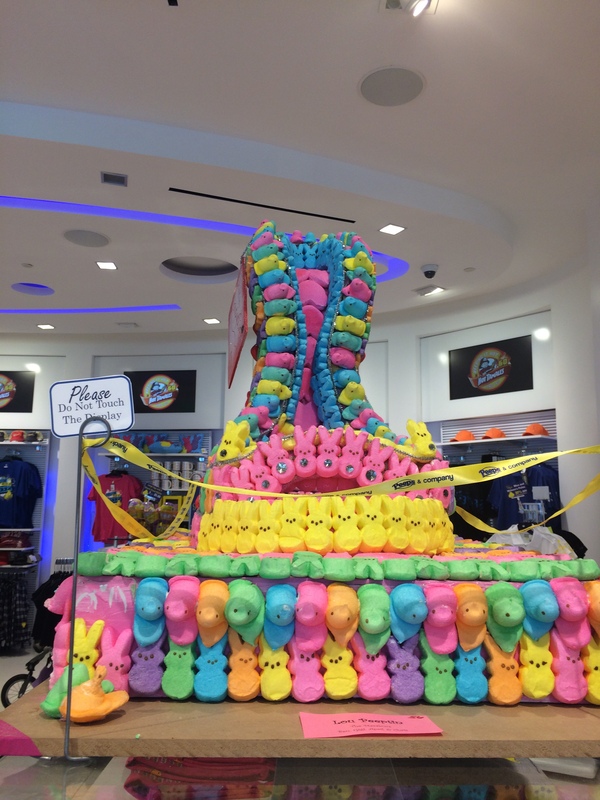 Some may think an entire store devoted to Peeps is absurd, but I would challenge those people to a fight to the death. This store is what America is about. 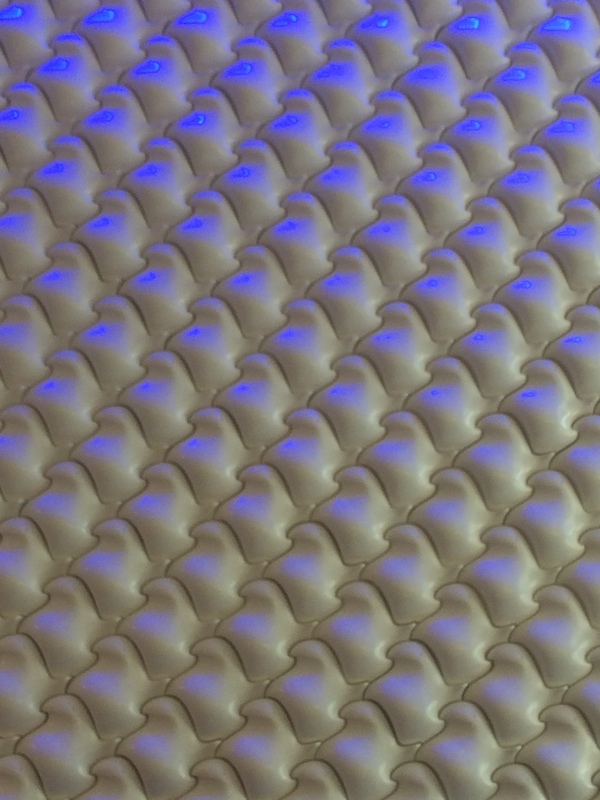 I think you know where this post is going, so let’s get started. I normally would try these with a Pinot or a Chardonnay, but I wanted to switch it up for variety’s sake. 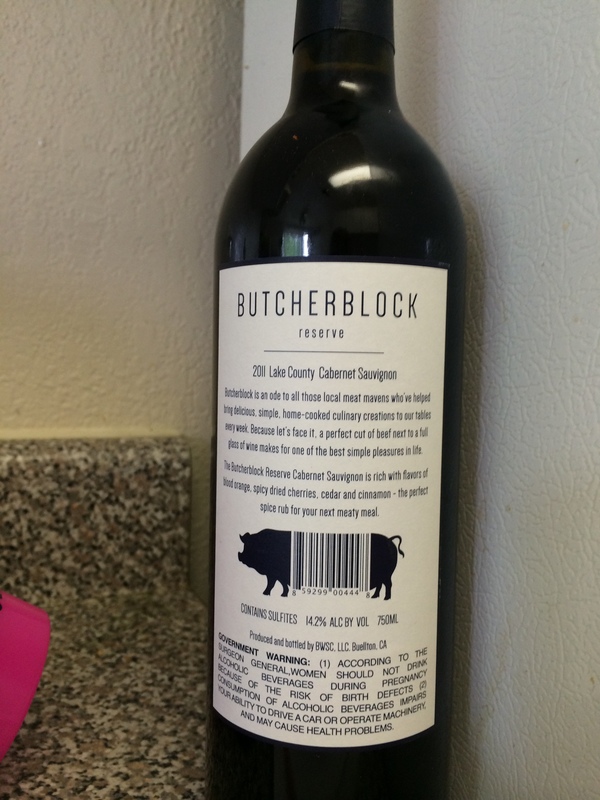 The Cabernet Sauvignon was an attractive option because the balance of fruit and tannins. 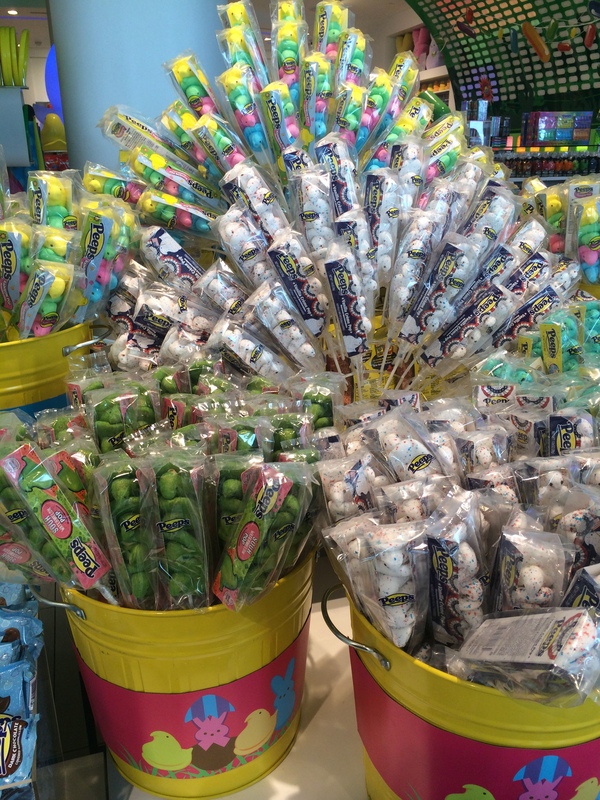 I did not want anything too sweet because the sugary candy would immediately throw the flavor of the wine. I am underwhelmed by this wine. It’s tart and round but the bouquet is very opaque and I can’t engage to its flavor. This wine would be a good table wine, but it is not great for a pair. 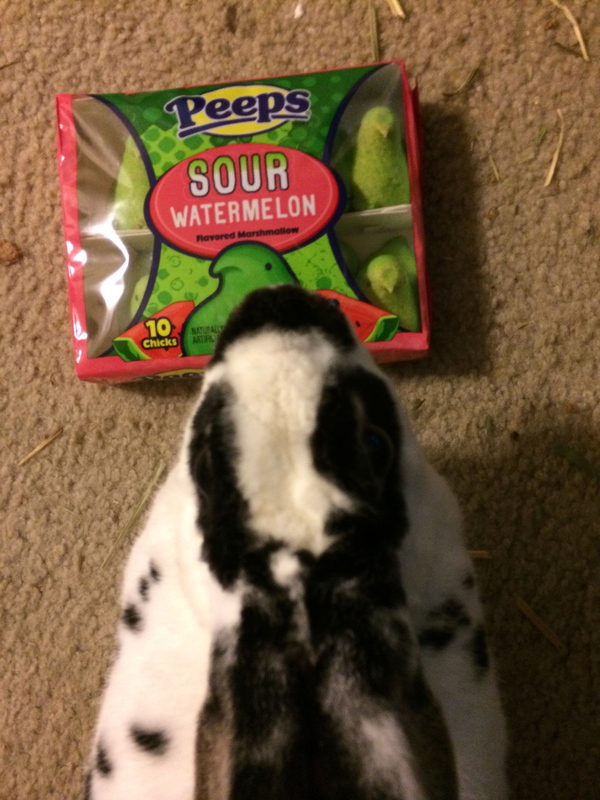 The Peep is the fake watermelon flavor, which is what I expected. But it is more sweet than tangy. Why did I think it would be tangy? What is with me and associating colors with flavors which are not the flavors advertised? Anyway, it made no difference to the pairing because the wine just a wasn’t strong partner. 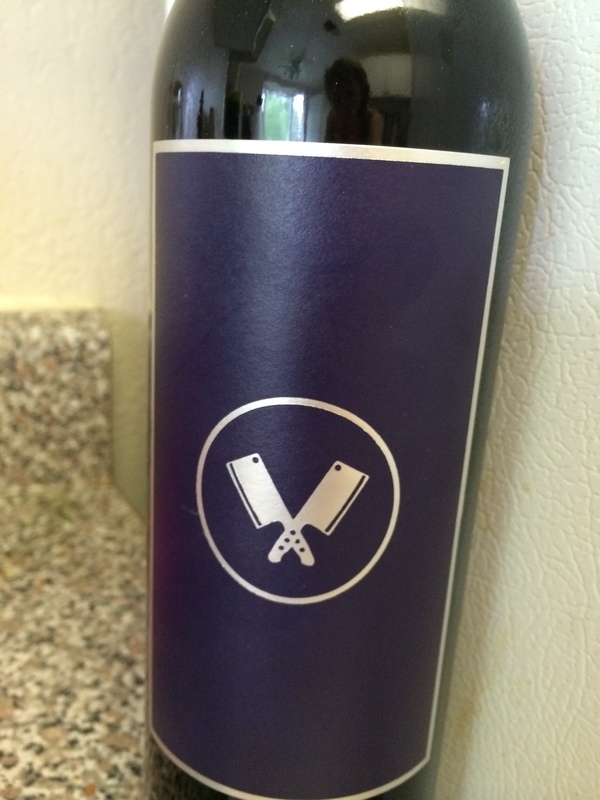 In my experience, the wine really needs to lead the pairing experience. The pairing was very meh and the wine didn’t taste good, but it never tasted great in the first place. But it is all ok, because I still went to this fabulous store. Alright folks! 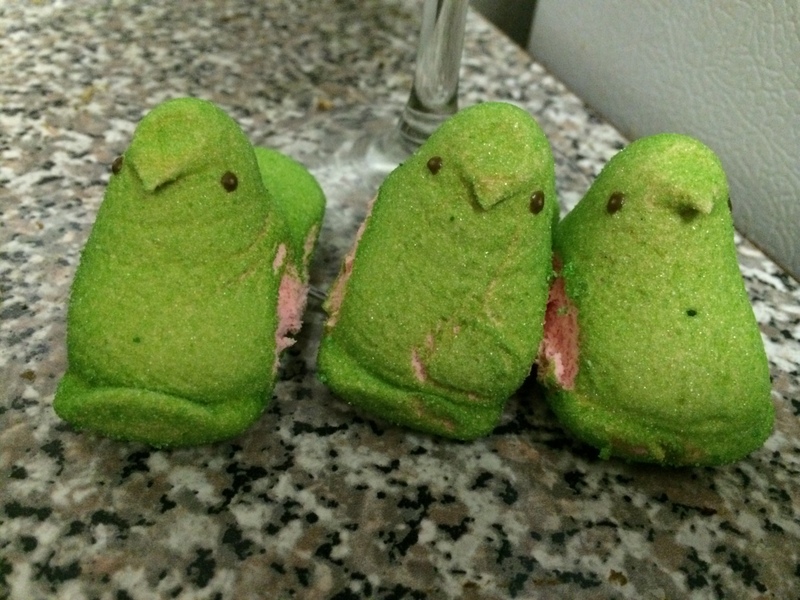 I may not post for awhile, but I will try to Peep in now and again. 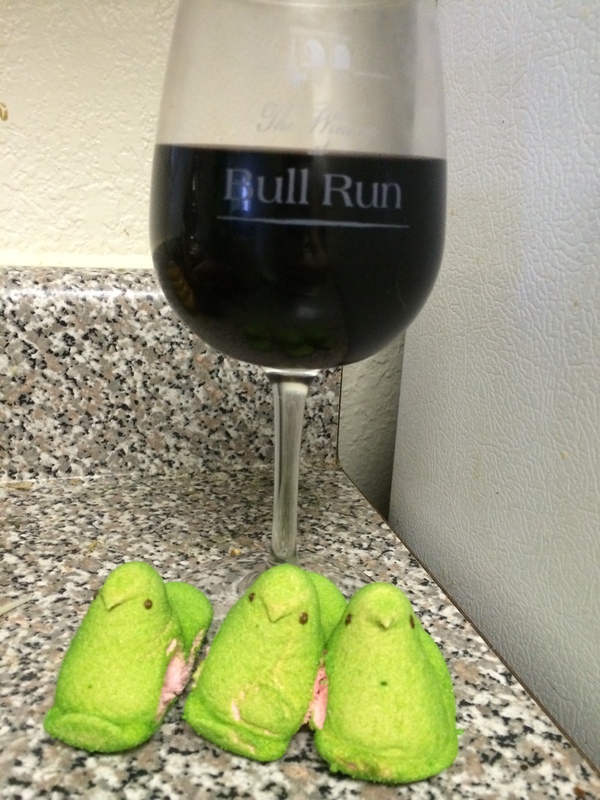 Posted in Cabernet Sauvignon and tagged Cabernet Sauvignon, Candy, pairing, Peeps, Wine. Bookmark the permalink.